171MP30 Unic P9A . 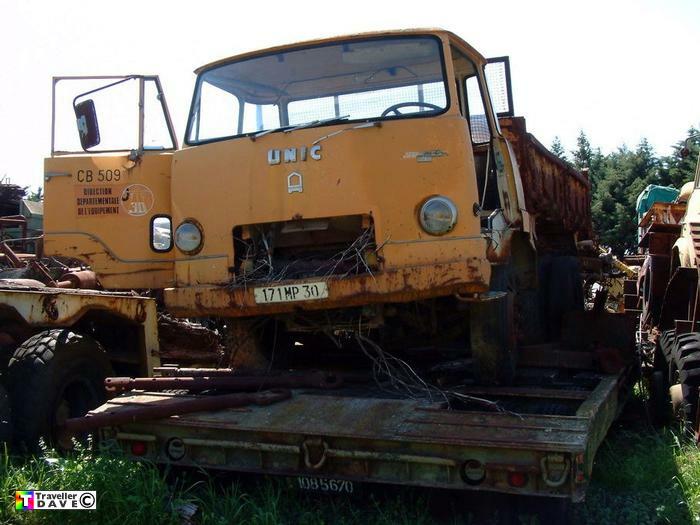 Vosges . . Ex-DDE 3 Way Tipper . Seen 19.4.06 La Calmette (30) Gard . France . Fitted with Unic M32.SD 4cyl. diesel engine . Sat on top of the road version of the Pacific M26 Tank recovery trailer .